Venice ACTV revises fares, revitalizes buses and adds a convenient combo land-boat entrance fare to the city. The ACTV Venice city bus °5 has always traveled between the airport and Piazzale Roma. Although recent changes mean this route is no longer included in the Venice Travel Pass, additional service improvements still make the Aerobus a convenient transfer option. They’ve upgraded the buses, increased their size (it’s a double) and also augmented the number of trips the Aerobuses make daily. • €5: one-way Aerobus Venice Marco Polo <-> P.Roma. • €10 bus+boat: includes land bus transfer and one 90 min. vaporetto ticket (normally 6,50). Tickets are good to or from the airport. • If you buy the a Travel Card pass, you can add the Aerobus ticket to it for €3. • If you don’t have baggage you ride for the normal fare. 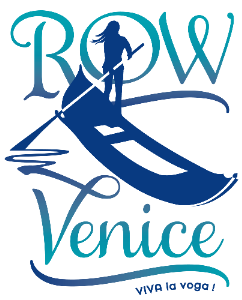 Remember that Aerobus °5 is no longer included in Venice Travel Card passes (unless you have no luggage); tickets must now be purchased separately, at machines or ticket counters. You may purchase the discount travel card with a one-way or round trip Aerobus ticket in advance purchase at VeniceConnected.com. You do not need a CartaVenezia iMob pass for this fare. According to the press release, holders can purchase an Aerobus ticket for €3, although the ACTV and ticketing machines specify the €1,20 fare. Rialto Line 2 boarding separates subscription and non-subscription iMob card holders. In an attempt to better control the heavy flow of passengers at the Line 2 Rialto vaporetto stop, the ACTV has just announced they will separate boarding for CartaVenezia and non-CartaVenezia ticket holders, in effect daily from 4pm – 8:30 pm during the summer season for boats heading in either direction. There will be one line for those with a CartaVenezia subscription, and another for those with magnetic paper travel cards. The first line will also accomodate those with mobility issues, wheelchairs, etc. At other times of the day and the end of the summer season there will be a single boarding area only. This entry was posted in Getting around town, Venice Instructions and tagged ACTV, aerobus, Rialto vaporetto stop, transfers, vaporetto, venice airport on July 25, 2011 by Living Venice. Nan…is the Carta Venezia the same as my iMob card? Thanks so much for the updated info!! I think the CartaVenezia refers to the subscription you renew on your iMob card. iMob is also the term for any swipe-able ticket, whether renewable or one time use. No mention of luggage storage . We want leave our luggage as we have a late flight. Luggage Deposit is on the Piazzale Roma map, handily located next to the People Mover Tram entrance on the upper left corner of Piazzale Roma.